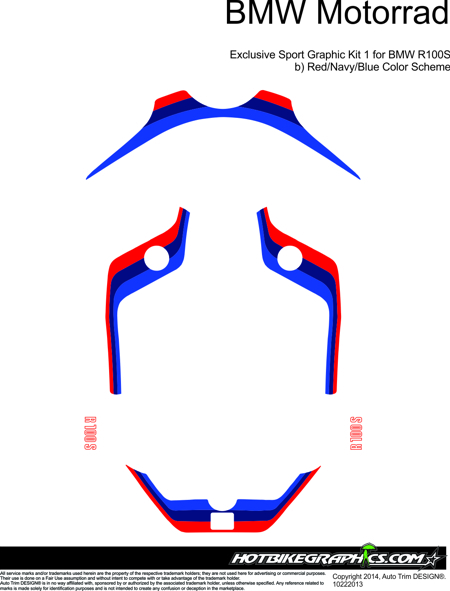 Fit your BMW R100S with this six (6) piece Exclusive Sport Replica Graphic kit. 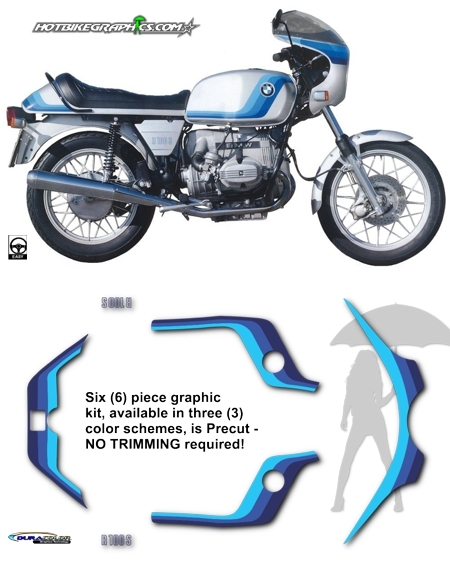 Created specifically for '76-'80 BMW R100S bikes, this kit will dress up your ride in no time. Available in three (3) color combinations, kit is precut (NO TRIMMING required) and ready to install in the areas shown. 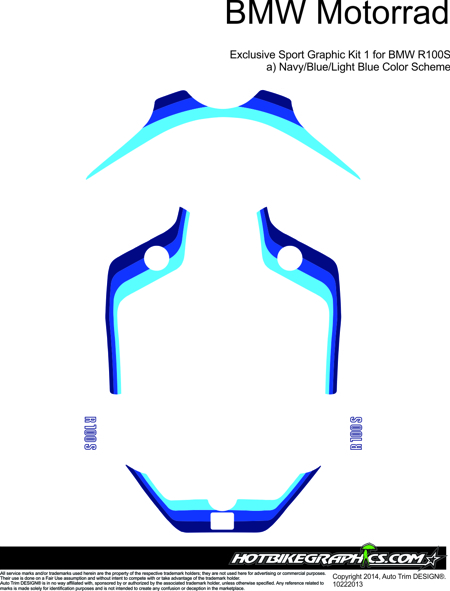 The DuraCOLOR manufacturing process for this item features the classic Exclusive Sport color scheme (Navy/Blue/Light Blue) as well as two (2) other unique color combinations. Moreover, the graphics are covered with a 2 mil clear laminate which will protect the graphics from miles of abuse.